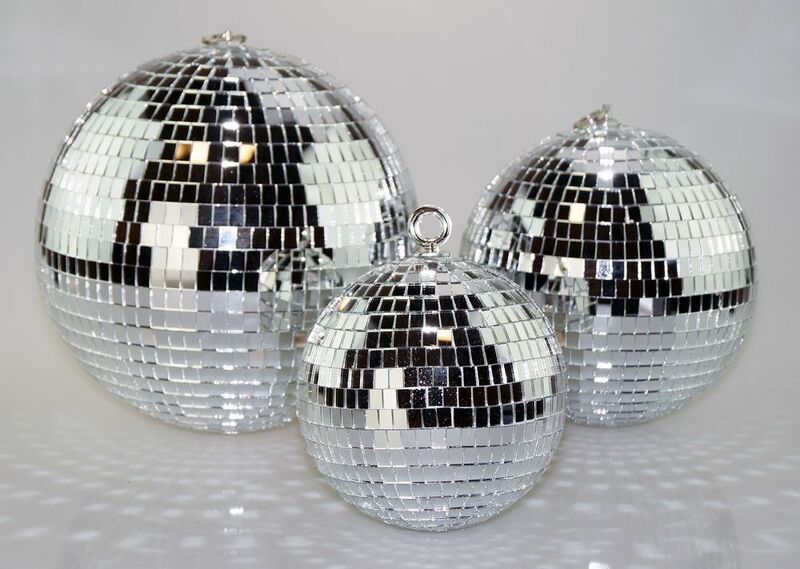 Disco ball party pack comes with three different size mirror balls. Mirrors are made of glass. Disco Ball sizes 10 inch, 8 inch, and 6 inch.